We’re strolling through the final quarter of 2014 and we’ve spotted several thought leaders share insights on trends and strategies that are going to be big in 2015. So we’re asking the question, why wait until then? There’s a lot of content flying around on these trends, but we’re finding that they’re positioned slightly arbitrarily. The subject has dipped its toe into the water but hasn’t showed us how you can actually implement the strategies that are being talked about. If you’ve read our latest eBook then you’ll know we like to tear a subject apart and lay its insides on the table for all to see. In this article we’re going to do the same. You’re going to learn all about these 5 insights along with some actions so you can implement them into your B2B marketing strategy. You’ll also see how some other incredibly successful companies have succeeded in implementing them and the results that they gained. What you’ll notice is that while the channels aren’t necessarily new, the way in which they’re being used are evolving steadily. Things have shifted rapidly over the last year and these are some of the ways you can keep on top as they continue to do so. The ways that paid advertising is being used noticeably evolved during 2013. In 2014 this pace seemed to continue. It’s safe to say that paid digital campaigns aren’t going anywhere, in fact this channel is just getting warmed up. For the sake of this article let’s separate “paid advertising” into two categories; display advertising and native advertising. Bear in mind that in some cases the two will overlap. As an internet user, you likely already know what display advertising is. Back in the day these came in the form of irrelevant banner ads and have slowly moved towards more relevant and targeted campaigns. We’re starting to see publishers and social media networks alike shifting from earned to paid media. It started with Facebook and now other platforms are starting to move in that direction. So what can you do to keep up as things steadily change? AdWords is a great paid channel, but the network doesn’t just stop at the SERP’s. If you’re on top of your digital marketing trends you’ve likely heard of Remarketing, but if not then it might be time to invest. Remarketing is an effective way of getting your message back in front of people who have already visited your website. Let’s say someone browses your website and exits on a particular product page. You can strategically create display ads that appear on sites within Google’s display network. I was recently checking out Appian’s website, a client of ours, to check in on what they were up to. An hour later I was browsing YouTube (not for cat videos, I promise) and spotted an ad from Appian themselves. What was great about this is the message matched my activity on the site and was clearly top-of-funnel, as the call-to-action was to download a research paper. These sorts of targeted display ads are the kind that can encourage users to revisit your site and take an action that they missed the last time. This is one of those overlaps that I mentioned above, as there are several Facebook advertising tactics that you can experiment with. We’ll get to Facebook’s in-feed ads in a second, but for now we’re going to focus on the “sidebar” ads. These are the mistakenly creepy ads that are highly targeted to our online activity and interests. The thing is, and we’ve written about this before, they’re not that creepy. When used properly they can actually serve the people that we’re trying to get to. They really must have a purpose, and that’s why it’s best to promote top-of-funnel content at first. 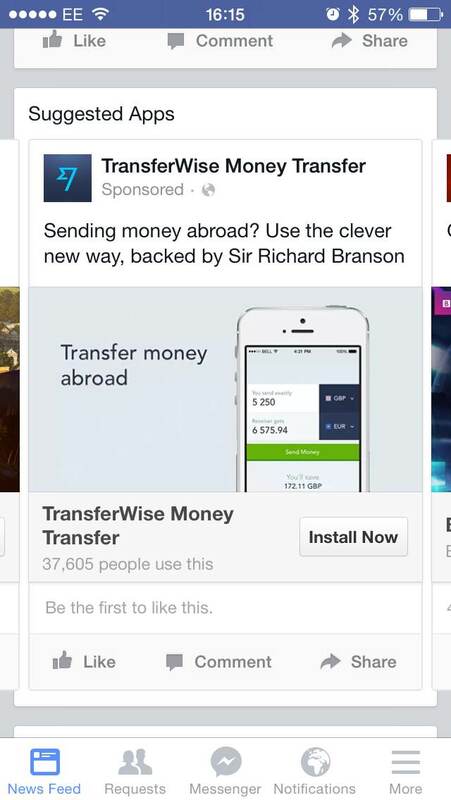 The great thing about Facebook ads is that you can use them in the same manner as Google retargeting campaigns. You can serve ads to your subscribers, offering whitepapers or even products and services that might interest them. Back in August, John Oliver did a highly amusing piece on how Native Advertising is ruining journalism. If you watched it to the end you may have seen the humorous Diet Coke advert that shoehorned facts about Ebola to illustrate what things would look like the other way around, which beautifully underlined his point. It’s a delicate subject, as allowing already-powerful corporations to place biased content amongst genuine journalism is morally questionable already, but for B2B marketing it can actually work in a way that grabs the trust of our audiences. Here’s how. This is one of those tactics that could easily sit within the content marketing umbrella, but essentially you could call it a light form of native advertising. – you’re publishing your own content on another platform. The important thing to bear in mind is that publishers’ priority is getting content that serves the audience first. This means that the only resources you really need to put into guest blogging is time. Guest blogging can work wonders as you’re putting incredibly valuable content in front of an already established audience, piggybacking on established trust. When done properly this can generate a serious amount of traffic to your site. When approaching publications, try and establish a relationship before going in cold with your content. Start joining the conversation on their own blogs by contributing with comments. Share their content and talk to them on Twitter. When creating content, think about who their audience is, what challenges have not yet been covered on their blog and make a note of other content forms that do well (this is easy, just see what’s been shared the most). I just touched on Facebook ads, but sponsored posts are different as they appear inside a users’ feed along with ordinary, organic content. This allows you to promote your organic social media content and amplify it to a wider audience. The targeting works exactly the same as Facebook ads. You select your audience based on their interests, demographics etc. and serve your content to them within their feeds. Facebook were the first to provide this service to advertisers, but since then other networks such as Twitter, Pinterest and Instagram have caught up. Your message can now reach an extended network of users. This advertising functionality is best used to give your content marketing a boost. Your blog post might be incredibly valuable but if a large number of people aren’t seeing it then you may be falling short of your objectives. By promoting your new and already existing content you can drive more traffic and conversions than you would by driving traffic via your current subscribers and audience alone. Like all marketing campaigns, test on a small scale first and see if you’re getting relevant traffic, leads and conversions at all stages of the funnel before scaling up. We used to live in very fragmented times where several pieces of our B2B marketing strategies lived in silos. Thanks to marketing automation software such as HubSpot and Marketo, these silos have been united inside of extremely powerful platforms. Marketing automation is just that, automated marketing campaigns. Your CRM, email marketing, SEO, lead scoring, content management and analytics can now sit in one place. Capturing, nurturing and closing leads can all be done from a single platform in a more automated fashion. I’m a big believer of testing, and this is especially true of marketing automation. Tools like the ones mentioned above can be extremely expensive and overwhelming for first timers in the world of marketing automation. To provide you with baby steps, here’s how we suggest you test marketing automation on a small scale first, measure the ROI and make the decision to invest in more powerful platforms later. There’s a lot of noise out there in the B2B marketing world, and marketing automation is no different. If you’re new to the concepts of marketing automation, and inbound marketing in general, then you should bring yourself up to speed with what’s going on. 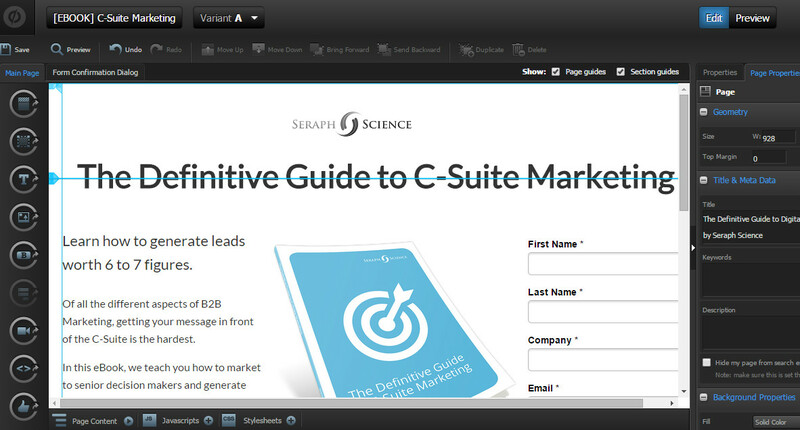 A good place to start is HubSpot’s educational material. Their academy has a lot of information on inbound marketing and automation for beginners, and they have a huge library of eBooks, kits, webinars and other content forms that you can indulge in to educate yourself further. Finally, Neil Patel, co-founder of KISSmetrics and Crazy Egg, has created an incredibly comprehensive guide on marketing automation that you can dig in to here. The 6 chapters cover everything from email marketing to conversion funnels and database management. There are several ways for you to test the various aspects of marketing automation piece by piece, but before you go ahead and integrate them you should figure out how it’ll all piece together with your current sales and marketing systems and processes. First of all, it’s likely you use a sales CRM such as Salesforce or NetSuite in order to manage deal flow and pipeline. Before using the tools we suggest below it might be worth researching whether they integrate into your current processes first. Many of the most common CRM’s that B2B organisations use have their own App Stores and add-ons available. Luckily, many of the tools we’ll be recommending integrate seamlessly with most CRM’s already out of the box. Before you begin, make sure you have a brainstorm session, especially with sales, to see how marketing automation and the software that comes with it can help assist these processes. You’ll also want to ensure you avoid any clashes, such as new fields, duplicates etc. We already mentioned all-in-one tools such as HubSpot and Marketo, but some marketers prefer to start small and work their way up. There are several tools out there that can help you get set up with email automation quickly. Here are some of the best, including services we use ourselves. One of the most popular email marketing services around, MailChimp comes with incredibly affordable email marketing automation tools right out of the box. You can create campaigns that nurture subscribers and leads over time, and it comes with a powerful WYSIWYG editor right out of the box. It also has a powerful API, meaning it will likely integrate with any systems you’re using already. If you find yourself creating lots of landing pages then Unbounce could help save you and your organisation a lot of time. Unbounce is a simple landing page builder that allows marketers to build conversion driven landing pages quickly. Much like MailChimp, there’s a powerful WYSIWYG editor that allows you to quickly put landing pages together for your marketing campaigns. It integrates with MailChimp as well as most other software. If you have a complex funnel or create lots of content then Unbounce can easily assist in driving conversions. Most of the tools we mention in this list integrate together out of the box, but depending on what solution you go for you might find getting certain packages to talk to each other is slightly tricky. Thankfully Zapier exists. This solution connects any service with an API (which is most) to connect with one another. All you have to do is sign up, link them together and voila. If you don’t see your service of choice on the list then you can “upvote” them to be considered. They’re constantly adding new services to their list of connections so it’s likely yours will be there soon. Whatever stage your business is at, getting started with marketing automation is easy and affordable. Start looking into the tools available and educate yourself to the possibilities. The amount of data available to us is now at a point where we can tailor our marketing messages to an individual level. There was recently a piece on Adweek that told the story of how one Brian Swichkow pranked his roommate using Custom Audiences for Facebook ads. The above is just one example of how precision marketing can help you target your audience effectively. Many marketers fear that by being too targeted we risk creeping out our audience. As we’ve covered before however, this isn’t the case if you’re truly serving them. Whether you’re focusing on consumers or trying to market to the C-Suite, precision marketing has its place in all organisations. It’s difficult to create targeted messages if you don’t know who you’re talking to. Creating buyer personas allows you to aim your marketing messaging with a higher degree of accuracy. We here at Seraph Science are constantly referring to and expanding upon our buyer personas. Right now we’re typically focusing on Marketing Directors, Marketing Managers and Managing Directors. 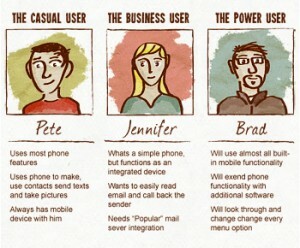 We look to yield as much information on these personas as possible. Attributes such as their challenges, goals and background. If we know their pains then we know how to create content that will truly serve them. Of course, we include basic demographic information along with this. It’s good to understand the basics, but you need to dig deeper. We make a note of buzz words they use and resonate with, their mannerisms and any quotes we’ve heard directly from them “in the field”. It’s good to include how your product, service or solution helps them to overcome their challenges. Include marketing messaging, common objections and try and develop an elevator pitch. Be as specific and dig as deep as you can. Think about your ideal client. Which are the companies whose logos you would love to put on your website? These are the people you should be targeting. 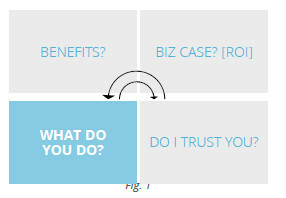 The image above shows how most salespeople start with what they’re selling is about, followed by the benefits and then on to the business case, which is where they would hope to gain trust. When selling to the C-Suite, this doesn’t work. You need to establish trust first and then offer a different perspective to what they’re doing already. They want to be challenged and have their assumptions tested. Another mistake that many marketers make when attempting to sell to the C-Suite is doing so with a fragmented funnel. They have separate contacts for telemarketing, email, appointment setting and face-to-face meetings. This doesn’t work with the C-Suite because they value relationships based on trust. Going into the new year, you need to come up with methods of target these senior decision makers and plan on generating large deals that go into the 6 to 7 figure arena. 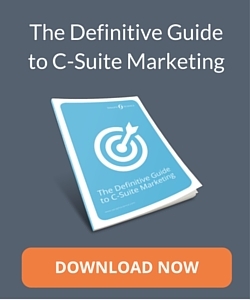 We go into more detail on this in our free eBook, “The Definitive Guide to C-Suite Marketing”. Content marketing is already a strategy that many brands are taking part in, but as more get involved the amount of noise only increases. It’s time to start making your content cut through the clutter. It’s about creating higher quality content that truly solves deep rooted pains and challenges that your buyer personas are suffering from. You can’t expect to throw out a blog post on a subject that you think might get traction. eBooks, video courses and emails are great ways to educate your audience. Many marketers are wising up to delivering long form content as a means to deliver tremendous amounts of value and create a connection with their audiences. Unbounce have created a great course on landing page conversions that are delivered by email over time. It’s an incredibly in-depth, deep dive into creating landing pages that convert well and has been a tremendous success for Unbounce. 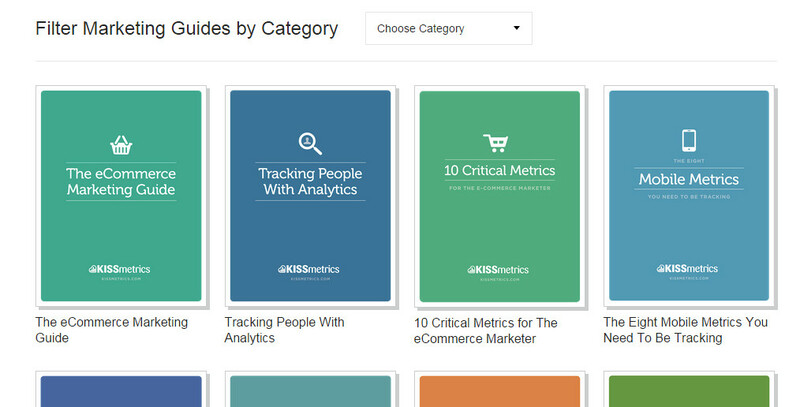 Companies such as HubSpot and KISSmetrics have a tremendous library of eBooks and other resources dedicated to the needs of their audience. These generate hundreds of leads a week directly into the top of their funnels, allowing them to nurture and build relationships. Long form content can really help to increase the perceived value and authority of your brand. Dive deep into your buyer personas, talk to your customers and find out what challenges can be solved with content. Delivering value doesn’t just have to come in the form of content. Blog posts, videos and eBooks can be great but you’re not just limited to them. Many brands are now building tools and side projects as a means of serving their audience. In essence, these side projects are products in their own right. The key is shifting your mindset to create content that is truly useful. Crew, a service that connects contractors with high quality freelancers, were looking at a bleak future. Cash was running out and they had 3 months left until they were done. 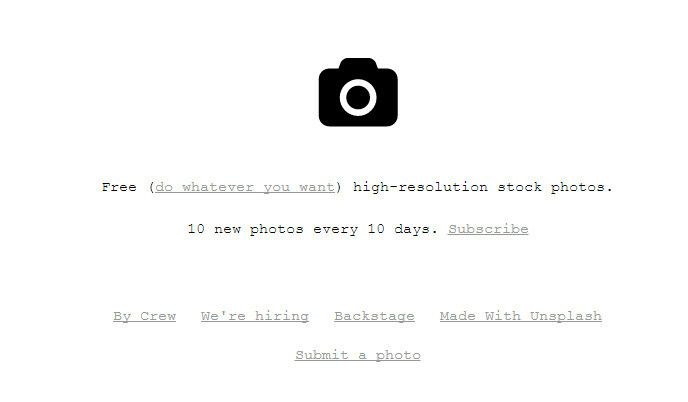 Around this time they were re-building their website and had some photographs left over that they didn’t use. So they built a quick Tumblr page called Unsplash and posted them for all to download, totally free. They wanted to share with people and posted it to HackerNews. The results were spectacular. They reached the top of HackerNews and generated 20,000 visitors to their site. People were sharing it like wildfire on Twitter and received great praise. They’ve written an entire blog post on it that you can read here, but the lesson boils down to one thing, in Crews words: “The best marketing is when you don’t know it’s marketing”. This includes long form content such as courses, as we discussed above, but you can also create apps and software that truly serves your audience. Neil Patel created an SEO tool that people could use to assess their websites, totally free, on his site Quick Sprout. This caused an increase in traffic and subscribers to his list. How can you emulate this sort of success with your own organisation? Again, talk to your personas and current customers, see what they’re struggling with and begin serving those needs in a truly useful way. This is hardly news, but still something that many marketers are neglecting. Although you’re a B2B organisation, your messaging is still geared towards people, and these people spend time on their mobile devices. If you haven’t done so already, it’s time to get up to speed. More and more people are using mobile to consume content, communicate and even buy stuff while on the move. Before we dig in, I’ll just remind you that your website should be responsive. This is old news now, and as more and more people browse the web on their mobiles, your website needs to be flexible enough to mould to this experience. Now we’ve taken care of the obvious, let’s dig in. This links quite nicely with the first strategy on our list, but needs to be re-iterated here for the purpose of mobile. Bear in mind that long-form visual content such as infographics may not be as effective on mobile as they are when viewed on a desktop. You need to adjust the content you share with the platforms you display them on. Amplifying your blog posts via paid channels still works. People are still using social mediato discover new content and this is especially true on mobile appa. If you’re creating visual content then make sure you adapt it to platforms such as Instagram and Pinterest individually. Ensuring your emails are mobile friendly is important, too. We’ve talked about how tools and side projects can act as great marketing, and this is especially true of mobile. Many marketers are creating apps that are serving their customers on the go. If it makes sense to do so, you should think about extending your offering into the mobile realm. This is easier for many software and tech companies but might be more challenging for more traditional B2B organisations. Despite this, it is possible. 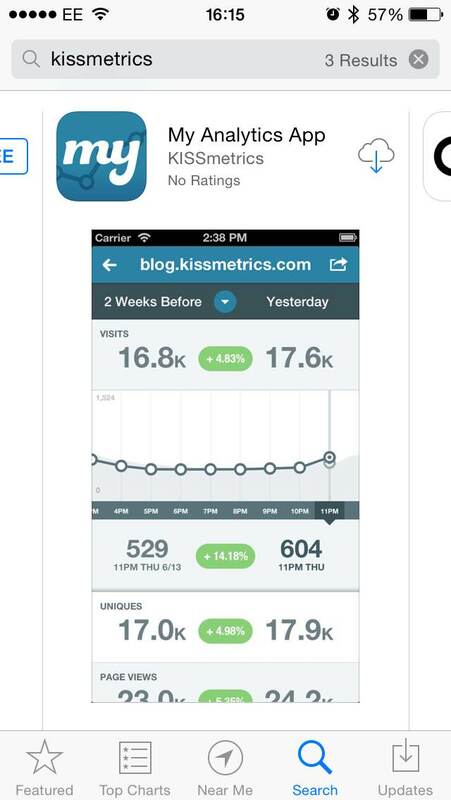 Being in the analytics space, KISSmetrics created the first app that allows you to sign in to Google Analytics on mobile. Sidekick, an email marketing service from HubSpot, provides users with email tracking on the go. Think back to Strategy 4. How can you create truly useful tools that better serves your audience? There’s a lot to take in here, and with the rise in new technology such as wearables, 2015 is looking to be a year full of innovation. There’s a lot of opportunity on the table for us B2B marketers if we can step up our game and experiment with new and emerging channels. Things are moving fast, but thanks to the technology available to us, so are we. The key to successful B2B marketing is in creating valuable content, targeting the right people and spending time focusing on opportunities that yield a high ROI. Plan your B2B marketing strategy around these three philosophies and you’re sure to be set up for a great year.